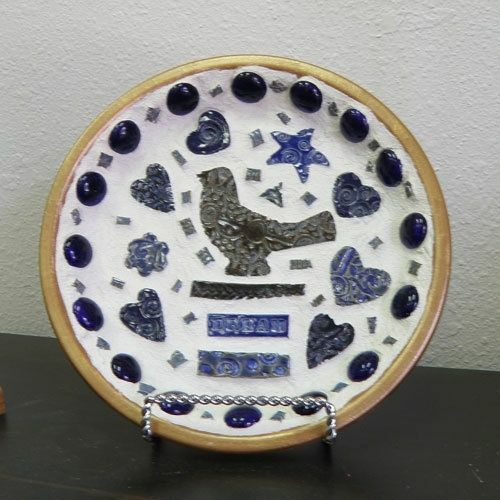 A bluebird of happiness adorns this mosaic composed of ceramic pieces made by Diane Soileau of Mud Pie Pottery. Ceramic pieces were arranged in a terra cotta saucer rimmed with blue glass chips and glass nuggets. Recommended for indoor use. Guaranteed to make your heart happy!